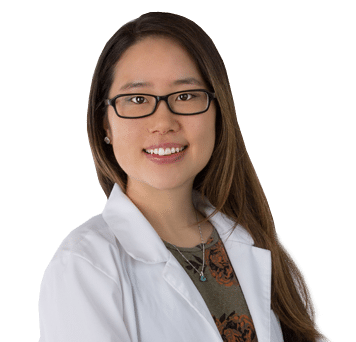 Dr. Apphia Wang, a board certified dermatologist, earned her medical degree from Baylor College of Medicine in Houston, TX and completed her transitional year residency at the University of Tennessee Chattanooga/Erlanger Health System with additional training with the plastic surgery department. She completed her dermatology residency at the University of Alabama Birmingham. Dr. Wang has received additional training in Mohs micrographic surgery and cosmetic dermatology at the University of Texas Southwestern Medical Center, Bighorn Mohs Surgery and Dermatology Center at Scripps Clinic, and DermSurgery Associates. Dr. Wang has presented at various meetings including the Cosmetic Surgery Forum and authored multiple articles in journals including JAAD Case Reports, JAMA Dermatology, and the New England Journal of Medicine. She speaks Mandarin, English, and Spanish. In her free time, she enjoys the nature, outdoor activities, and spending time with animals.